Over the years, the development of mirrorless cameras has proven to be the epitome of success in the digital imaging market. Mirrorless cameras have become a force to be reckoned with, thanks mainly to the advancements of technology and customer feedback. It was close to ten years ago when the first mirrorless camera was manufactured, and since then the market for them has grown drastically. There are now tons of models that suit every budget, and to be frank, they are completely changing the game. Every important camera manufacturer now has to have at least one mirrorless camera in their catalogs, which goes a long way in showing how far this particular type of digital camera has come. With a large collection of mirrorless cameras to choose from, it often becomes tough to settle on one. This is especially true if you are buying one for the first time, so you don’t know what to look for in an ideal camera. This is where we come in. We have used all the experience that we’ve amassed over the years to come up with a list of the top 10 best mirrorless cameras under 1000 that would surely appeal to you. Not only have these products been tested individually but they have also been compared with their counterparts. To help you choose the best mirrorless camera under 1000, we have tried our best to make the following article as accurate as possible. SHOW ME THE TOP 10 MIRRORLESS CAMERAS UNDER $1000 NOW! Mirrorless cameras and DSLRs both have large image sensors and processing chips, which allow for better image quality and faster performance. Both types of cameras make use of interchangeable lenses that give some versatility in the photos. Both cameras usually consist of a hot shoe on the top that enables you to add components such as a large flash. The interior of a DSLR camera comprises a mirror mechanism that sits in front of the image sensor, blocking the path of the light traveling through the lens. The mirror is raised upwards when the shutter button is pressed, which allows the light to strike the image sensor. In a mirrorless camera, the mirror mechanism is absent because now there’s no reason for the light to be blocked from reaching the image sensor anymore. In the case of both DSLR and mirrorless cameras, you are required to purchase the lenses separately. This adds to the cost since these lenses can be expensive. There are an extensive variety of lenses for DSLRs available in the market, as compared to mirrorless models. The lens has to be carefully picked as certain lenses fit only in specific models of cameras. This has been discussed in detail later in the article. With the removal of the mirror mechanism, mirrorless cameras have become thinner, smaller, and lighter than DSLR cameras. This has made them more compact and easier to carry around. DSLR cameras have outperformed mirrorless cameras for a long time. However, the gap between the two designs in terms of performance has shrunk considerably, with people now opting for mirrorless cameras due to its many advantages and superior technology. Before we take a deeper look at the best mirrorless cameras under 1000, you may want to know which brands are the best in the market. This is why we have highlighted the main characteristics of each active brand so you can choose among the best. Sony offers the best image sensors on the market and exceeds expectations in AutoFocus innovation and 4K video. However, the manufacturing quality and the ergonomics still aren’t immaculate. There are a wide variety of lenses to choose from, though, many tend to be expensive. However, third-party brands are investing in the system, which is a positive sign. Fujifilm places a lot of importance on old-style designs, manual controls, distinctive picture profiles, and constant firmware updates. Resources are allocated to raise the standard of features like AutoFocus and image quality. The lens choice is excellent but there is little interest shown by third-party brands. 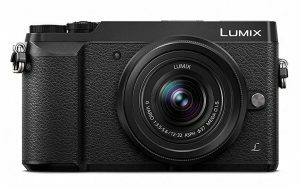 Panasonic is a pioneer in the field of modern mirrorless cameras. It is the most generous when it comes to providing advanced features and technology. Their 5-axis stabilization system is still unmatched by their rivals. Panasonic has established itself as the main reference company when it comes to professional videos and photography features. The use of smaller sensors allow for compactly designed lenses and they also offer the widest selection of glass in the mirrorless segment. Canon is the leading provider of consumer, business-to-business, and industrial digital imaging solutions. They keep launching new models with newer features than its predecessor, with the promise of more to come. 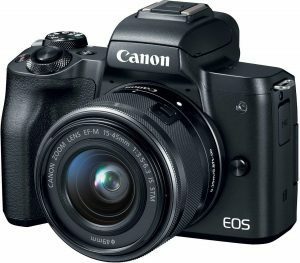 Recently, Canon has started giving more importance to mirrorless cameras and has already launched some products in the category. It is the beginning of a new era for the brand, with more focus on mirrorless technology from now on. The price is probably the first thing a customer looks at when it comes to picking the right camera. It is important to note that the most expensive cameras may not necessarily be the best fit for you. Unlike most items where pricing determines quality, the right camera for you depends entirely on your skill level and your requirements. To make your budget, you will also have to consider the cost of any additional items. The camera itself is just a small fraction of the entire cost of photography. It is the camera gear that will probably cost you three times or more the amount you spend on a camera, and so you will need to consider your journey through photography. It is an expensive venture, given that you are going to be actively using it all the time. Some cameras may be perfect for wildlife while others might be perfect for shooting sports. Some will have the ability to work in low light for landscapes while others will be ideal for regular lighting. The pricing will be largely determined by the need of the user, rather than the opposite. The portability of a camera is determined by the size and its ergonomics. Travel photographers often need to carry their gear along wherever they go, and this may include lots of lenses. This adds to the weight so photographers regularly like to have a camera that is light enough to ease the load. Unlike bulky cameras that need big storage spaces, the smaller cameras require smaller storage spaces, and hence, are easier to maneuver, as well as, carry around the neck or shoulders for a long time. The camera harnesses should also be comfortable since they can cause strain on the neck otherwise. Mirrorless cameras are designed in a way so that they are easily portable, which also makes handling them easier and quicker. The size of the camera should be small enough so it easily fits in your suitcase or bag amongst your other items. No huge lenses are required in mirrorless cameras. Beginners, who are just finding their way around photography, tend to rely heavily on the camera’s ability to set up proper shots. Professionals are now taking advantage of these presets for faster shots and better photography. They would be lying if they denied using these auto features that help in enhancing the content. Most of the mirrorless cameras already come with environmental sensing abilities that are far more advanced than our own senses. These features allow beginners to almost match up with what professionals can do, which is one of the best aspects of these cameras. Cameras nowadays come equipped with AutoFocus, presets for environments, auto ISO settings, and aperture speeds once the f-stop is set. These enable you to save time and be able to operate the camera a lot better, as compared to learning through manuals and page by page. The image balancing feature is very helpful in ensuring that you click stable photos. Sometimes, when you have to take photos in low light conditions, it often becomes very tricky as a slight movement can cause blurring or jittery photos. Make sure that you check for all these features before purchasing a camera. These days, cameras have become all about speed and processing. Most of the cameras are designed in a way as to include a fast processor, as well as, an aperture, shutter and shutter speeds. The speed of the AutoFocus and the Electronic viewfinder (EVF. have become paramount in this. All these features allow the user to shoot rapidly, as many times as possible, without any need to reload. It also doesn’t make excessive noise when shooting continuously. The typical shutter speed of cameras is clocked at somewhere below 0.05 seconds and less than 0.25 seconds intervals between one photo and the next. This advancement in technology has also enabled the use of video coverage with very impressive qualities, including 4K. The processors are so efficient that they quickly pick images from the sensors and develop them swiftly for a preview. Continuous shooting is particularly very useful for scenarios such as shooting sports, wildlife, aircraft etc. Not only can these cameras shoot fast but they can also rack up the objectives and focus on them as fast as they can shoot. The best mirrorless cameras under 1000 consist of fancy features and an advanced interface. Getting used to the touch screen and buttons can be a little tricky. We advise that you opt for a camera that is relatively easy to use. People who keep changing their cameras repeatedly often find it confusing due to already having gotten used to a certain routine. Having a camera that’s easy to use will allow people to explore its settings fully, which can result in them learning new stuff such as the acronyms, as well as, the uses of every button. The altered interfaces and LCD screens that are tiltable make it much easier to click pictures from awkward angles and views. Camera lenses are one of the most significant investments you can make when it comes to photography. The budget you come up with when buying a camera should typically include all the necessary gear, and in this case, the most basic of lenses to start with. However, keep in mind that high-quality lenses will enable you to click the best shots, but will also cost you a fortune. Therefore, the more compatible your camera is, the better. Most cameras work with lenses from the same manufacturers while others transverse this limitation with the use of adapters. These adapters don’t come cheap so the compatibility of the camera with the lens needs to be considered before any purchase is made. The sensor size has a great impact on photo quality, with it affecting the effective focal length, depth of field and exposure. The most common sensor types used in mirrorless cameras are APS-C and Micro Four Thirds. One of the biggest factors that differentiate the high-end models from the basic models is the inclusion of an electronic viewfinder (EVF.. Without an EVF, you will have to align your images and shoot via the LCD screen on the back, just like you would with a smartphone. It is a much desired and important trait for serious photographers. The world we live in today has become all about faster connectivity and transfer of data. It is for this reason that cameras have kept up and have incorporated the required technology. The days of having to use memory sticks are gone, wherein, after filling up, a long and complicated process had to be followed just to empty it. Advancements in technology now allow for the sending of photos in real time and even transfer of images and videos using different connections to peripheral devices. Wi-Fi is one such feature that allows you to transfer your data immediately, and if your camera allows, even stream it. Bluetooth and NFC are other examples that allow you to transfer your data to the nearest NFC and Bluetooth enabled devices swiftly. Connectivity has truly made photography a global hobby that can be easily shared in real time. The majority of classy mirrorless cameras are usually weather sealed for added protection from natural elements. Weather sealing varies from one manufacturer’s model to another. There are no set universal standards to follow, but the process pretty much involves adding rubber sealing and housing on the body and around the buttons to make the camera more resistant to moisture and dust. Therefore, it would be a nice feature to have in your mirrorless camera so that weather conditions can’t stop you from clicking away. There are countless options available in the market, so it is important that you are fully aware of all the top players out there. Nothing less than the best will do, therefore we have listed down the 10 best mirrorless cameras under 1000 to make your choice a lot easier. When searching for a camera to buy, it doesn’t always have to be of the newest generation. There are still some classic mirrorless cameras out there that will give you your money’s worth. The Sony A7 is one of the most affordable full-frame cameras you can get. Its basic technology can deliver great pictures, which makes it very valuable. The hybrid AutoFocus feature is decent with a mix of phase and contrast detection points, it has a very fast burst shooting rate and the ISO performance is great, all thanks to the 24.3MP CMOS full-frame sensor. This camera was released almost 5 years ago, which kind of makes it really old and supposedly inefficient when compared to the latest cameras. In its core, the camera still works wonderfully, but there exist some minor issues that have since been tweaked in newer models. 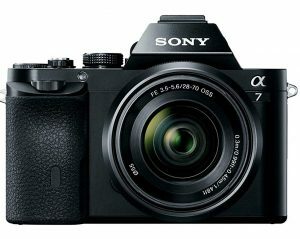 If you expect to click your photos or shoot videos in silence, then the Sony A7 could be a bit inconvenient due to its noisy electronic shutter. Only 1080p videos can be shot on this model, and the quality definitely doesn’t look as sharp as seen in the most recent Sony cameras. However, keeping the camera’s age in mind, this full-frame camera can perform very well to this day. 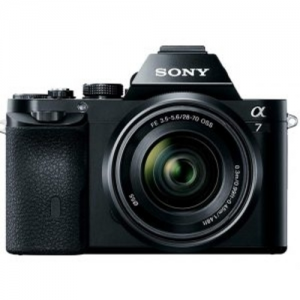 The fact that the price of the A7 didn’t go plummeting down after the next generation models were released proves that the Sony A7 is still valued today. 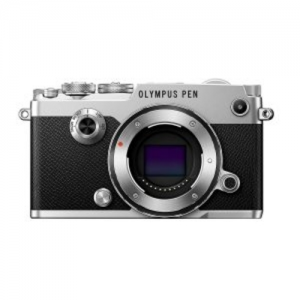 The Olympus Pen-F has a new 20MP Live MOS sensor with 50MP High-Resolution Shot mode, which is best-suited for fast-paced photography. In addition to the high megapixel count, there are a plethora of other features available. The design is pretty slick, with the customizable retro looks giving you control over the appearance of your camera. The powerful in-body image stabilization accounts for ultra sharp images, making it ideal for street shooting. Maintaining its vintage style, there have been other improvements made, such as, the dials have been moved and no longer come in the way. The new and improved electronic viewfinder is one of the sharpest in the market that lets you keep your eye on the subject while maintaining control of the camera’s settings. However, you won’t be able to record videos in 4K resolution and the camera doesn’t consist of a microphone or a headphone jack. So if you place video functions as your most desired features, then you might want to consider other options. 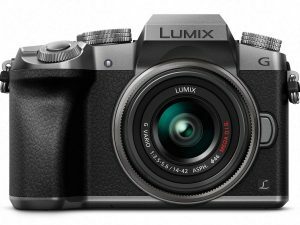 Priced at just under $500, the Panasonic Lumix G7 is the most inexpensive camera on this list of the best mirrorless cameras under 1000. Don’t let the price fool you into thinking that the features would at the best be average. 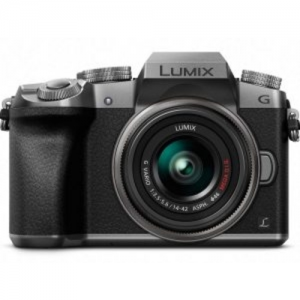 In fact, Lumix G7 includes amazing features. It offers over 24 compact lens options built according to the next generation interchangeable lens camera standard (Micro Four Thirds.. Its mirrorless design enables for a significantly lighter, more compact camera body, while also offering cutting-edge video, and audio, creative controls, wireless, intelligent-focusing, and exposure technologies. Good luck in finding all of these in your traditional DSLRs. The exclusive Lumix 4K Ultra HD video pause and export ensures that you never miss that one shot that perfectly captures a scene. You can also shoot videos in full 4K resolution. However, the in-camera JPEGs and color profiles are not the best, which may leave you dissatisfied with the appearance of the images. You can also unwire your creativity by WiFi sharing features. You require the Panasonic Image App and a WiFi connection to be able to control various functions on the Lumix G7 using a smartphone or a tablet device. Some of these features cover the image focus, shutter release, geotagging etc. Released in early 2018, the Fuji X-A5 is one of the newest additions to the Fuji family. It is quite affordable and can prove to be a great buy if you are looking for something under $500. However, in spite of the low price, it includes some of the most important features for modern cameras. It is created with confidence and style, sporting a retro design and offering a host of features including a 180 degree tilting rear LCD screen, built-in Bluetooth technology and an extended battery life. The Fujifilm X-A5 can shoot up to 450 frames per charge, which is indeed impressive. An amazing wide-angle lens lets you take stunning self-portraits that are bound to blow away your peers on social media. There is no electronic viewfinder though, which means you have to always use the screen for taking pictures. This might take away some of the joy of looking through a viewfinder, but the newly developed 24.2-megapixel APS-C sensor makes up for it through accurate scene recognition in SR+ AUTO mode, amazing color reproduction performance and skin tone reproduction capability. The Olympus OM-D E-M10 Mark II is a sophisticated camera that’s a pleasure to use. Whether you are a novice simply snapping shots of your everyday life or a serious photographer looking to maximize your creativity, the E-M10 Mark II delivers with a compact profile, intuitively placed controls, and an advanced 5-axis image stabilization system that adds sharpness to your every shot. One of the main features is the generous OLED electronic viewfinder. The 2.36 million pixels give immense clarity to the picture, which makes it easy to see in bright sunlight. It also makes it easy for you to see any changes in the camera settings such as aspect ratio and art effects, without moving your eye away from the viewfinder. The Touch AF feature lets you focus and release the shutter by simply tapping on the area of the screen you want to zero in on, with virtually no time lag. To go with the lightning-quick AutoFocus, the E-M10 Mark II offers high-speed sequential burst shooting at a rate of 8.5 FPS. This lets you create sharply-focused images of fast-moving objects. The silent shutter option helps in preserving the serenity of the scene so you can get the perfect shot. 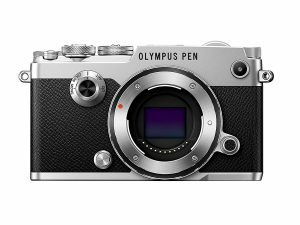 Priced at just under $500, the Olympus OM-D E-M10 Mark II is a classy camera with incredible features on offer. This is why it is one of our top picks for the best mirrorless camera under 1000. The X-T20 makes your job much simpler by offering Manual Mode for creative control and a handy Auto Mode that makes it convenient to capture a wide range of scenes. These two modes, combined with the 3.0” tiltable LCD monitor and touch screen operation make for intuitive shooting. The retro body design suits this camera very well, especially with the 24.3MP X-Trans CMOS III APS-C sensor with no low-pass filter and X-Processor Pro. The milled aluminum dials on the top-plate and dual control wheels also provide a pleasant tactile user experience. This is easily on par with the highest standards of modern mirrorless cameras. The Fujifilm X-T20 boasts of an impressive continuous shooting rate of 8.0fps when using the mechanical shutter and 5.0fps in the Live View mode, with a shutter time lag of merely 0.05 seconds. The Fujifilm X-T20 supports 4K video so you can enjoy amazing movie quality. The camera can also accept both an HDMI monitor and an external microphone which allows you to transfer the recorded videos to an external monitor. The powerful and compact Lumix GX85 has the ability to take stunning, professional photos without much effort. Fine detailing has gone into its making, with the 16-megapixel Micro Four Thirds sensor with no low pass filter setting the example. This sensor also results in nearly a 10% boost in fine detail-resolving power which just means sharper images. The super compact 12-32mm and 45-150mm lenses ensure that you never miss a moment with the ability to shoot stabilized, ultra-fast 3-frames-per-second 4K video. For class-leading image stabilization, the in-body 5-axis dual system works in both photos and 4K video recordings to display clear handheld shots even in low-light conditions. The 4K Post Focus feature allows you to capture photos at a speed of up to 30fps, and you can even set your desired focus points after the photo has been taken. For easier framing, the touch control 3-inch LCD screen can tilt 80 degrees upwards and 45 degrees downwards to maximize viewing. Harsh sunlight will no longer pose any problems because of the built-in 0.2-inch 2764K-dot LVF (Live View Finder. which improves visibility. The Canon EOS M50 is a compact interchangeable lens camera which is a good fit for aspiring photographers on the lookout for an easy way to boost the quality of their photos and videos. This can be achieved due to the 24.1MP APS-C CMOS sensor and the DIGIC 8 Image Processor that delivers incredible color, clear details, and stunning dynamic range. You can easily see and savor the best memories of your life through this camera. For the first time on any EOS model, the EOS M50 comes equipped with a silent shooting mode that uses a fully electronic shutter. This ensures that the serenity of the scene does not get disturbed due to any unnecessary noises, and you also get the perfect shot. Canon’s Auto Lighting Optimiser is very useful for balancing shadows and highlights in high contrast scenes with a good selection of basic modes and subject-based scene modes at the user’s disposal. A built-in high-resolution electronic viewfinder, featuring approximately 2,360,000 dots, is the reason you can see a high amount of details in your photos. The M50 consists of Wi-Fi, NFC and Bluetooth connectivity that are all capable of forming an always-on connection to your smartphone using the free Camera Connect app. Here you can easily backup your photos and upload them online. Priced at just under $650, it is one of the best mirrorless cameras under 1000 for vloggers. Sporting a sleek and stylish design, the X-T100 offers a host of features. Some of the features include a high magnification electronic viewfinder, a horizontal tilting LCD screen, the latest built-in Bluetooth technology for seamless image transfer, and extended battery life. It can shoot up to 430 frames per charge, which is an impressive trait for a mirrorless camera. 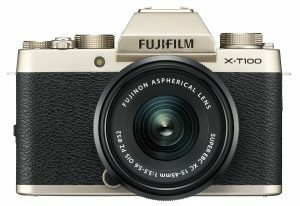 The X-T100 has a retro and luxury feel to it due to the anodized coating on the aluminum top cover. The X-T100 boasts of a powerful 24.2MP APS-C size sensor and is equipped with a Phase Detection AutoFocus system that features an evolved SR+ auto mode, which is capable of subject recognition together with conventional scene recognition. Combined with Fujifilm’s renowned outstanding image quality, the X-T100 has the potential to be your ideal companion for everyday photography. The high-performance Electronic Viewfinder allows you to compose your photographs clearly, regardless of the presence of bright light. The flash feature is also super intelligent as it automatically adjusts the amount of light according to the surroundings to give you the most natural-looking photographs. Though the X-T100’s feature set is impressive, it might not satisfy you if you are a serious photographer. According to a few customer reviews, we found that the camera’s overall performance is sluggish, the AutoFocus system is not reliable and its 4K video is more like an extended burst mode. 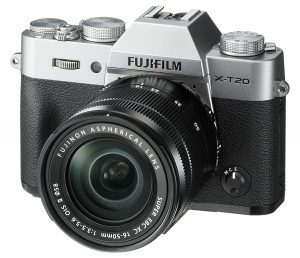 Priced under $600, the X-T100 would be a good fit for beginners who wouldn’t mind compromising on some of the features. 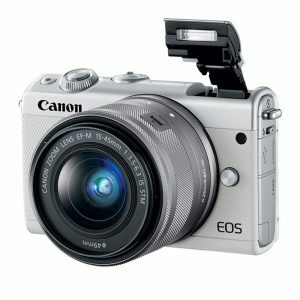 The Canon EOS M100 would make a suitable everyday companion for those who seek an easy-to-use and highly capable camera system. This camera consists of a 24.2MP APS-C CMOS Sensor with a DIGIC 7 Image Processor which makes it more powerful than its competitors. Canon has introduced a textured pattern around the thumb rest so you can wrap your fingers around it and get a solid grip. Users will have to use the 3-inch, 1040-K dot touchscreen to operate most of the camera’s settings. The screen can be tilted by 180 degrees so the camera automatically enters the self-portrait mode for high-quality selfies. These can then easily be shared via the built-in WiFi, NFC or Bluetooth technology. The EOS M100 accepts Li-ion LP-E12 rechargeable batteries which can run up to 30 minutes in Full HD video. The Auto mode allows you to control various factors such as image quality, drive mode, self-timer and aspect ratio for producing good-quality snapshots. The focusing during movie recording has been vastly improved by the introduction of Dual Pixel CMOS AF and the option of turning Servo AF on from the corner of the screen. 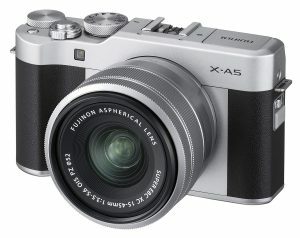 Priced at just under $450, this camera has a very basic design with a lot of room for improvement. That is why we recommend you to explore better options. The market for cameras keeps evolving constantly and the mirrorless cameras have come a long way. To find the best mirrorless cameras under 1000, we put every one of the models through a series of rigorous tests to analyze how each model performs. Our selections are based on our experiences with earlier models, familiarity with the technologies, consultation with various industry experts, online forums and results from the best industry software. The various mirrorless camera models are tested based on several criteria such as color, ISO sensitivities, screen resolution, and image noise. After analyzing the results, we ourselves shoot with the selected camera models in the real-world conditions, just as you will, to gauge their performance in day-to-day use. By now you must be on the right track of making an informed decision about buying the best mirrorless camera under 1000. There are mainly three sections into which mirrorless cameras fall: consumer, prosumer, and professional. One must keep in mind that just because a camera is categorized as ‘professional’, doesn’t necessarily mean that it will guarantee professional-looking photos. Rather, the meaning is that these cameras are built with the capabilities that professionals need and want. Consumer mirrorless cameras can be a great starting point for someone seeking a camera with more flexibility and control. These consumer mirrorless cameras often act as a replacement for entry-level DSLR cameras. They are usually popular with those that prefer the interchangeable-lens feature but also desire something that is lighter, smaller, and more compact. Usually, an LCD screen is used to compose the photos instead of an electronic viewfinder. Consumer mirrorless cameras typically have a smaller sensor that allows for smaller and lighter body size, at the expense of a little bit of image quality. Prosumer cameras are those that fall between consumer and pro cameras. In the world of mirrorless cameras, prosumer level cameras are probably the most comfortable for photographers making the switch from a DSLR to a mirrorless model. Prosumer cameras have a slightly smaller body than professional-level cameras, and offer greater control and better image quality than consumer cameras. Another appealing feature of prosumer mirrorless cameras is the provision of an electronic viewfinder (EVF., as well as, the LCD screen on the back of the camera. This significantly helps in making the transition to mirrorless camera much easier if you are accustomed to looking through an optical viewfinder. With both an EVF and an LCD screen, problems with viewing your composition in bright light are greatly reduced. These are the cameras that have the ability to give you the highest-quality videos and stunning imagery. Whatever you may desire from a mirrorless camera, the professional level camera will deliver what you need. It can straddle all types of camera formats, such as Micro Four Thirds, APS-C and full-frame, and also tend to feature larger, more durable bodies that are often weather sealed. What’s more? They are characterized by faster processors, which aid in AutoFocus performance and buffering, mainly when shooting large files or burst sequences. These cameras are also ideal for shooting professional videos, given the numerous features that they come with like external monitors, headphones, and microphones, as well as external video recorders. This type of camera is the one you might want to consider if you are an advanced photographer or a professional who is used to the feel and performance of a professional DSLR camera. Professional level cameras offer the most creative control through their inclusion of fully manual adjustment capabilities and support for interface customization. Usually, they are what photographers prefer when working in adverse situations, such as extremely low lighting, due to these cameras’ expanded imaging capabilities, sensitivity, and refined focusing performance. Mirrorless cameras have been around for many years, but have always played second fiddle to DSLRs. However, it is a different story altogether now. The mirrorless systems have been improving day by day at an astonishing rate, and may soon usurp the hold that the DSLR cameras have on the market. We have listed down a few of its advantages that may influence you into buying the best mirrorless camera under 1000. Mirrorless cameras can show you a live and real-time image, which is representative of the current settings. So, on increasing the shutter speed to allow more light to the sensor, you will be able to see the scene becoming brighter in the viewfinder and the LCD screen. This brighter view, thus, enables you to frame a shot in the dark accurately, while also assisting you in gauging the exposure when using neutral density filters. This feature is a benchmark for all cameras. You will be able to see a real-time histogram in the viewfinder or LCD screen as you compose and tweak your exposure settings. A live histogram feature ensures that you have a correctly exposed image. The histogram is based on the camera’s interpretation of a JPEG preview and not on the raw file. The size may not be everything, but it is quite important. All mirrorless cameras are currently smaller than their counterparts, i.e., DSLR cameras, and have more features. Some mirrorless cameras may not be much smaller than a DSLR, but those are the ones that typically have a lot more technology packed into them, such as In-Body Image Stabilization (IBIS.. Ordinarily, mirrorless cameras are much more compact and lighter than DSLR cameras, making them more portable. The AutoFocus capabilities give mirrorless cameras an upper hand over DSLRs. This is one area where much advancement can and probably will take place in the coming years. In a DSLR camera, a separate sensor has to be used to achieve AutoFocus. For the working of this sensor, a system called phase detection is used to measure the distance of the object from the camera before indicating the lens where to focus. For the accuracy of the system, everything must be in perfect alignment, such as the mirror, the AutoFocus sensor. the lens motors and the image sensor. In the case of a mirrorless camera, there is no mirror in front of the sensor, therefore, it doesn’t need to utilize a separate focusing sensor. A mirrorless camera makes use of the image sensor to focus directly, meaning there can be no alignment issues and the desired focus is achieved every time. This advantage can only be fully experienced when shooting in JPEG format. As you customize the white balance settings of the camera, you will be able to adjust the various color intensities and eliminate any color casts. All these changes can be viewed in real-time through the viewfinder or the LCD screen. Manual focusing on a mirrorless camera is so much easier than on a DSLR camera, especially in low light conditions. There are modern focusing aids like Focus Peaking and Temporary Zoom Assist, which let you know that you have focused on the shot accurately. When you enable Focus Peaking, the camera adds a highlight color to those areas of the scene that are in focus which is visible in the viewfinder and the LCD screen. It is this highlight color that assures you that you the focus right regardless of the quality of your vision. When using a DSLR camera, it often becomes difficult to get an estimate of the depth of the field in the final shot. Most DSLR cameras do provide a depth of field preview button but they are not always accurate and reduce the amount of light reaching the viewfinder. A mirrorless camera, instead of using a separate button, uses a sensor to project what you see in the viewfinder so you can get an accurate depth of field preview. Nope, we don’t mean those black and white animals. What we are talking about are the black and white lines that can be displayed in the viewfinder to reveal the areas in the scene that are overexposed. In a mirrorless camera, the zebra lines are fully customizable and are usually displayed while shooting stills or videos. How To Maintain Your Mirrorless Camera? If you’ve owned a mirrorless camera before, then you must know how difficult it can be to keep the sensor clean. While removing the mirror mechanism may have many benefits, one big downside to it is that the sensor becomes highly vulnerable to dust, dirt, moisture, and any other element waiting to make its way inside your camera. If you spend time shooting outdoors, it is inevitable that there will eventually be dust spots collected on the sensor. To start off, we need some electrical tape so that it can be folded and stuck to the inside of the camera’s body cap, making it sticky on both sides. The purpose of doing this is that the dirt and dust will stick to the tape rather than the sensor when the camera is stored away. There will still be a small amount of dust that will make its way to the camera’s sensor. To deal with this, you can buy a Giottos Rocket Blaster and use it frequently. It is a super effective tool for quick cleaning of dust stuck on the sensor. Make sure that the camera is always turned off during the process of switching lenses. This is because, when turned on, the camera sensors accumulate a small static charge, which makes them attract dust. Thus, a lot of dust can easily get collected while you’re changing lenses. By turning off your camera before switching lenses, you can ensure that your camera isn’t unintentionally attracting dirt and debris. With the help of these handy tips and the regular use of the Automatic Sensor Cleaning feature present in most cameras, we can assure you that your camera will stay clean. Whenever there is talk about mirrorless cameras, one of the biggest complaints that usually comes up is about the shorter battery life compared to DSLRs. While this is a valid argument, it doesn’t necessarily have to scare you away from choosing a mirrorless camera, especially when its future appears to be rather bright. Cameras such as the Sony Alpha 6500, Fujifilm X-T2, and Olympus OM-D E-M10 III do tend to have relatively short battery lives, and the solution to this is buying a few extra batteries for these systems if you plan on being out all day. The relatively newer systems like the Sony A7R III and the Panasonic Lumix G9 boast of bigger batteries, which are much more effective than the batteries present in their predecessors. While they may not be quite as effective as the ones found in a digital SLR, they can usually last through a full day of shooting, and they pack more than enough power for most photographers. However, we still recommend carrying an extra battery or two as backup, since it doesn’t really hurt aside from the added weight, so there is no reason for you to have the same battery anxiety as in the early days of mirrorless. The most obvious thing you can do is turn your camera off when you are not shooting anything. It is quite common that people capture a few photos and then walk around in search of some more, with the camera still on. You can considerably save valuable battery life by remembering to flip the camera off between scenes and shots. Another thing that can be done is to put the camera on ‘airplane mode’, unless you are using the Wi-Fi. Nowadays, a majority of new cameras come equipped with Wi-Fi capabilities, which is a great feature but it can play a huge part in rapidly draining your batteries over the course of a day. Unless the camera is in active use, turn it off and save some juice. Most importantly, in cold environments, make sure to keep your batteries warm. In cold weather, batteries are known to get drained faster, so, when the camera is not in use, put the battery in a warm pocket. This may seem like a bit of an inconvenience, but it can make all the difference between it lasting all day and dying out too quickly. One of the ways in which mirrorless and DSLR cameras are similar is in their use of interchangeable lenses, which can dramatically improve the image quality and take your photography skills to the next level. However, there are tons of lenses to choose from, which can be a daunting task. To help you get the right type of this important camera accessory, here’s a quick rundown of all the types of interchangeable lenses that can be used in mirrorless cameras. It’s the most common type of lens that people who buy an entry-level Single Lens Reflex (SLR. 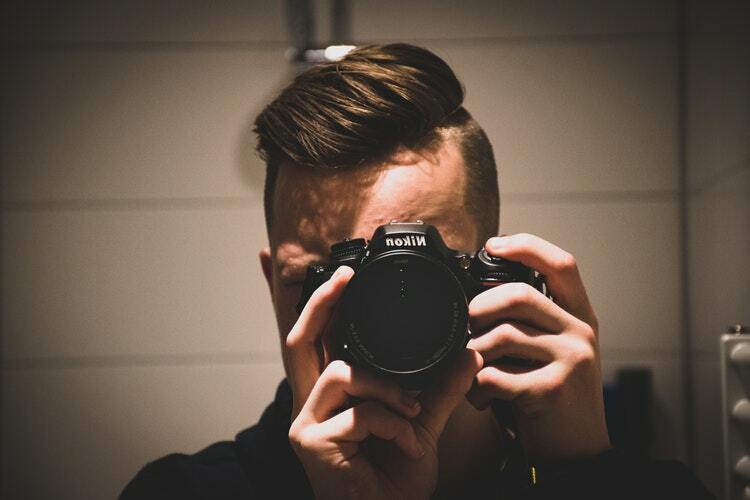 or a mirrorless model have the knowledge of. Mirrorless kits usually come with a 14-42mm lens that includes a small amount of zoom (3x.. These lenses are often available at a low price, but the picture quality that they offer is not the best. However, in the past few years, several high-grade standard zoom lenses have also been manufactured. Prime or non-zoom lenses are often obtainable at a reasonable price, with excellent quality on offer as the added bonus. They are very easy to use too; however, the photographer has to make the extra effort of moving towards the object. Since these are non-zoom lenses, you will have to use your feet and walk closer to your subject in order to get a close-up shot. If you shoot a lot of sports or other types of events, this kind of lens should be your number one choice. Its powerful zooms bring you closer to the action, and it also has features that allow you to capture the best images with shallow depth-of-field. One drawback of the telephoto zoom lenses is that they can be a bit heavy. However, due to technological advancement, many manufacturers have started working on inventing new lenses that are smaller and more compact, without compromising on the quality. This may become your go-to lens in the event of traveling since it allows you to capture distinct types of wide-angle shots. One such example of this lens is the 16-35mm zoom lens. This lens is very helpful for shooting a group portrait. All you have to do is set the zoom lens towards the 35mm end of the range, which will prevent distortion at the edges of the image. The lower end of the zoom, which is nearer to the 16mm end, can prove to be useful when shooting a broad and sweeping landscape. However, these lenses do not come cheap and you may end up making a hole in your pocket to get one of them. Just as the name suggests, this lens is used when you are looking to capture high-grade close-up shots of small objects. You will want nothing short of a good quality macro lens for these purposes. It comes in a variety of focal lengths too, such as 50mm and 100mm. To assist many of the photography enthusiasts that are trying to navigate their way through these murky waters, we have come up with this article so that you can make a well-informed purchasing decision. 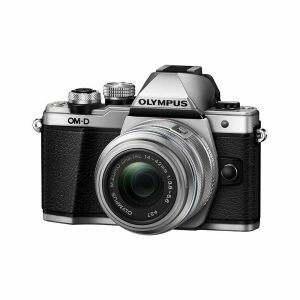 After analyzing innumerable customer product reviews and conducting some research of our own, we have come to the conclusion that the Olympus OM-D E-M10 Mark II is the best mirrorless camera under 1000 that you shouldn’t miss out on. We expect that in 2019, we will see a huge rise in the number of mirrorless camera sales – with everyone from amateurs to professionals either making the switch or investing in mirrorless as their camera of choice. It is ideal for one to take time to understand the whys and hows of a camera, which will put them in a better position to make an informed choice when it comes to purchasing one of the best mirrorless cameras under 1000. We hope this guide has truly helped you and happy snapping!